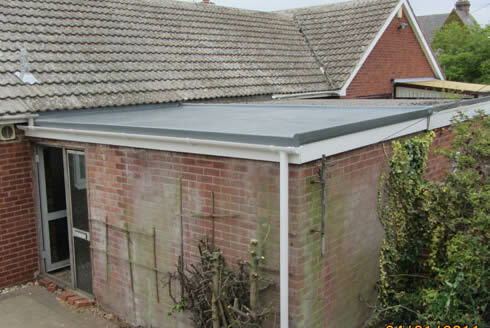 Our knowledge and expertise in the GRP roofing industry is second to none. 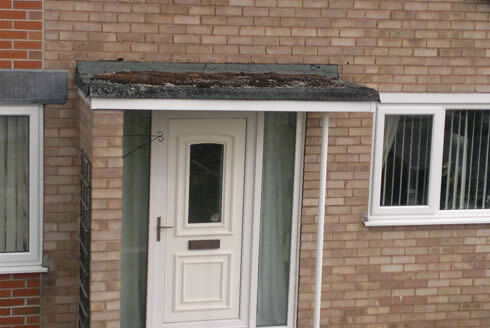 We would be only too pleased to have the opportunity to give you a free no-obligation survey of your roof and a quotation to carry out any work that may be necessary. We will not send a salesman to try to pressure sell our product to you. 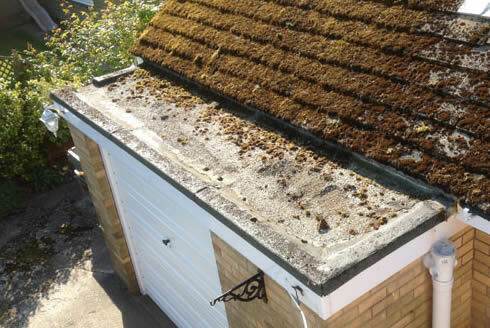 We will give you an honest expert opinion of the condition of your roof. We aim to provide the kind of service we ourselves would expect if we were to have trades people working in our own homes. 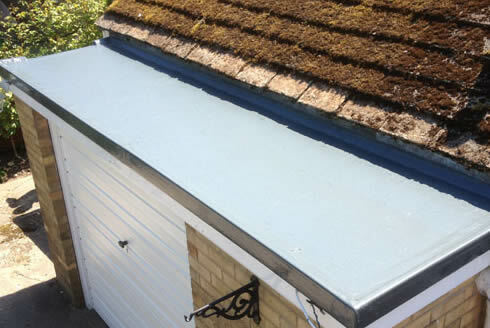 We would usually strip the existing roof covering and dispose of the rubbish in a skip, the cost of which would be included in any quotation. 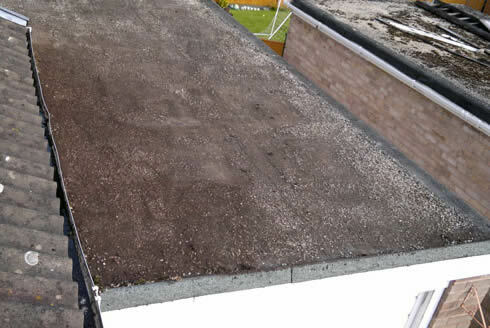 The roof would now be ready for the installation of the decking boards. 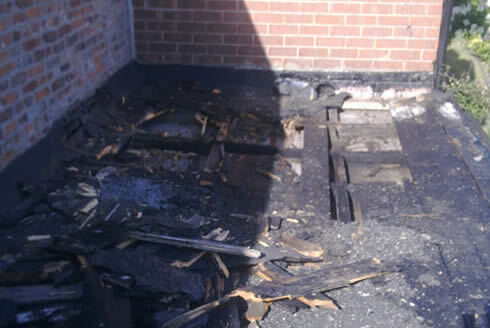 We would normally use a moisture-resistant tongue-and-grooved decking board and mechanically fix it to the timber joists. The boards are manufactured from a sustainable source. Now the roof has been boarded, we are ready to fix a pre-formed fibreglass trim to the perimeter of the roof. 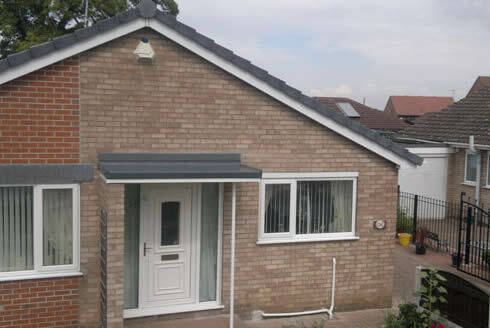 The pre-formed trims are machine made, so they have a superb appearance and are designed to provide the roof with an expansion facility. 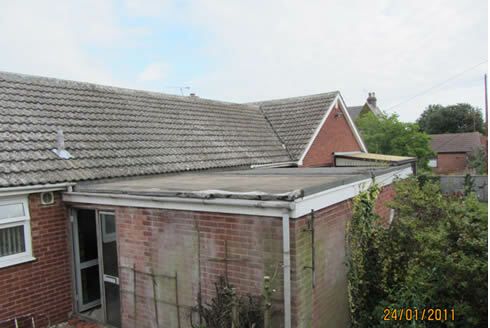 The trims have now been fixed and the roof is ready to receive the laminate. A laminate is formed using a polyester resin, reinforced using a chopped strand glass mat. 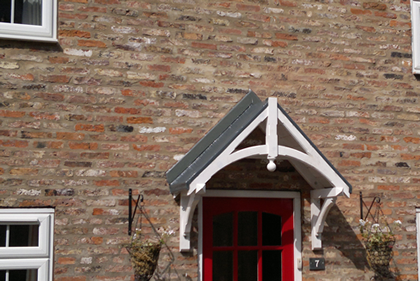 A formed laminate is more commonly known as fibreglass. 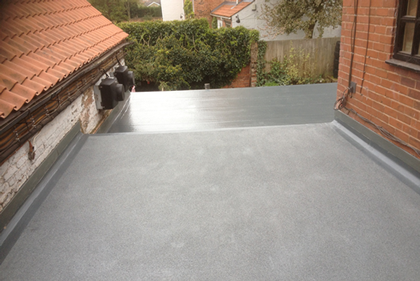 Within 30 minutes of the laminate being laid, the resin will have cured and your roof is now watertight. The final stage of the installation is the application of the topcoat. 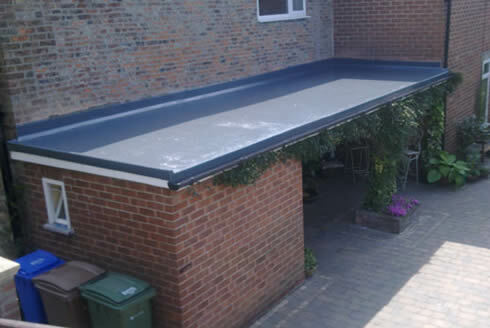 This is mainly cosmetic but also provides full UV resistance, something that cannot be said of other flat roofing products such as bitumen felt and EPDM membranes. 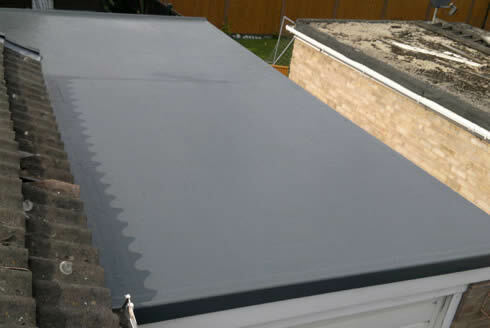 Your roof is now complete so you can look forward to many years without having to worry about leaks.